Like retail therapy for your bank account. 1. Reusable Norwex microfiber cloths that will cut your cleaning costs. Get a pack of two from Amazon for $47.50. 2. A SodaStream to replace your LaCroix addiction. "I use filtered water and then add citrus, basil, or basically anything I want or have on hand. I have saved a fortune not buying LaCroix and I have DIY pamplemousse on demand!" —Kristin K.
Get it from Amazon $109.80. 3. A pair of wireless headphones that won't break on you. Get these recommended headphones from Amazon for $198.88. Or try these cheaper but very highly rated wireless headphones from Amazon for $24.99. 4. A set of wool dryer balls to replace dryer sheets and make your laundry extra fluffy. 5. A bread machine so making delicious homemade loaves can be so much easier (and cheaper than buying bread all the time). Get a 2-pound bread machine from Amazon for $58.49. 6. A French press that will cut down on your cold-brew bills. Get this French press from Amazon for $16.99. 7. A food saver so freezer burn can be a thing of the past. 8. An on-the-go water bottle with a built-in filter. It's also great for making infused waters! Get the larger size from Amazon for $21.35 (available in two sizes and eight colors). 9. A drying rack that'll save money on your electric bill *and* help your clothes last longer. Get it from Amazon for $29.44. 10. 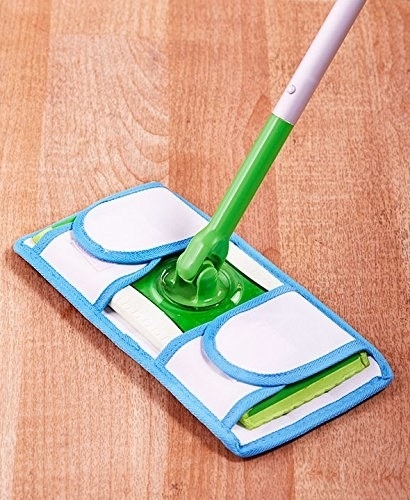 Reusable sweeping and mopping pads you can use with a Swiffer Sweeper Wet/Dry. "You can use any kind of floor cleaner you like — save even more $$$ by making your own floor cleaner (there are tons of recipes on Pinterest)." —Samantha B. 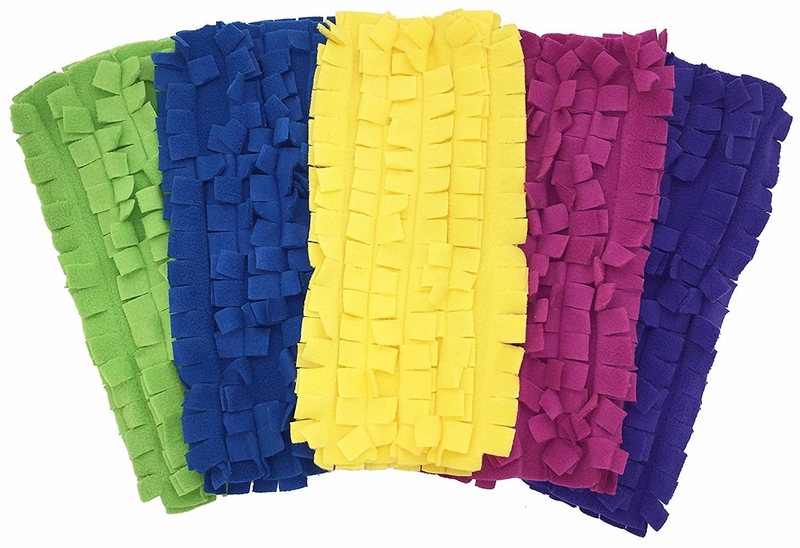 Get them from Amazon: a five-pack of reusable microfiber dusters for $15.48 and a two-pack of reussable microfiber mopping pads for $10.01. And get a Swiffer Sweeper Wet/Dry Kit from Amazon for $11.94. 11. Reusable bento boxes that will encourage you to actually make your lunch. Get a set of four from Amazon for $13.95 (available in three color sets). 12. A contract-free phone plan that'll save you money. Check out the $45 plan at Straight Talk. 13. A family-sized (it holds 18 cups!) Brita dispenser so you can skip all those bottled water purchases. Get it from Amazon for $39.59. 14. A food subscription to provide all the ingredients you need and cut down on food waste. Plans start at $6.99 per meal. 15. A sewing kit (and maybe some lessons) that will keep you out of the tailor's. Take a beginner's sewing class at Udemy for $19. 16. A small chest freezer to stock up on amazing grocery deals. Get this freezer from Amazon for $239.99. 17. A slow cooker that'll make buying (and cooking!) in bulk more logical. Get a 6-quart slow cooker from Amazon for $39.99. 18. A menstrual cup so buying expensive tampons and pads can be a thing of the past. "In addition to being better for you and the environment, it pays for itself after two or four periods. Way cheaper to invest in this once rather than continually have to buy tampons." —Lauren S.
19. Reusable grocery bags that will save you a lot of cents (while saving the environment). Get a 10-pack of reusable bags from Amazon for $34.95. 20. A book to teach you how to budget, pay off debt, and save money. 21. A water bulb that'll keep your plants alive by watering them over time. Get a set of three from Amazon for $19.97 (available in six color sets). 22. A refillable K-Cup so you can use any coffee in your Keurig machine (and create less waste). 23. Gel nail polish and a curing light for creating long-lasting manicures at home. "I’m a bartender so if I want my nails to stay nice after excessive hand washing, opening bottles and other constant damage by using my hands and nails, I have to get the gel polish at the salon. Since I’ve been getting them done twice a month for years, I’ve learned how to do them by myself. I recently went on Amazon and bought my own light and polish, which are the same brands my favorite salon uses. It was a bit pricey up front but saves me around $80/month." —Stephanie C.
Get the light from Amazon for $31.99 and the OPI gel polish from Jet for $14.95+ (available in three colors). 24. A Kindle that will save you money and shelf space. "Sign up with BookBub. You’ll get an email with e-book bargains every day. You pick the genres, they’ll tailor to your preferences. I get books for 99 cents, sometimes even free!" —Anne R.
Get the new Kindle Paperwhite from Amazon for $129.99. 25. And a color-coded(!) app to track your spending and keep you up to date on bills. Download Homebudget from the App Store and Google Play for $4.99.